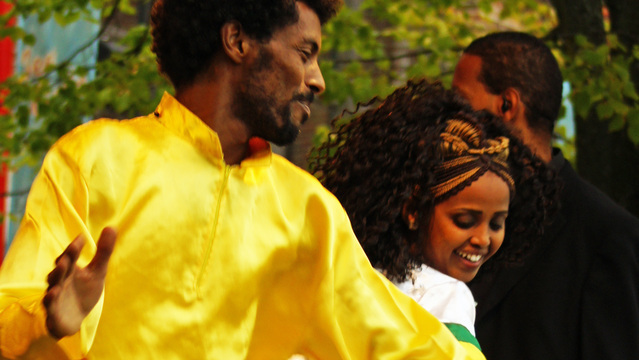 New York (TADIAS) — Melaku Belay, leader of the traditional Ethiopian dance troupe Fendika is featured in the lineup for the 2016 Globalfest concert in New York City. “Globalfest has announced the lineup for its 13th annual concert, which will feature performers from Mexico, Ethiopia and Haiti and be held at Webster Hall on Jan. 17,” the New York Times reported. Melaku, who is known for his innovative and virtuoso interpretation of Eskista, has performed several shows in NYC while touring with the Ethiopian American band Debo, and most memorably he participated at the Lincoln outdoors concert in 2008 with legendary saxophonist Gétatchèw Mèkurya and The Ex band. “Fendika an ensemble led by the exuberant dancer Melaku Belay, mixes traditional music and dance from Ethiopia,” the New York Times added.